Now in its fourth year the in-house new writing night of The Bread & Roses Theatre, The Platform is back for it's ninth instalment! Featuring plays from our record submission round of over 500 plays, we have another exciting and entertaining line-up. 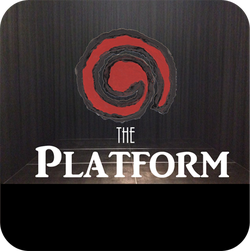 ​The Platform has been running regularly since October 2012 and has quickly established itself as an opportunity to discover, develop and explore new short plays and monologues for audiences as well as creatives. Since starting The Platform the BRTC has also gone on to produce full scale 5 star reviewed productions of Miss Julie and Low Level Panic. As the original project that triggered the eventual launch of The Bread & Roses Theatre it now takes place twice per year and usually sells out, so make sure to book your tickets.